Pink, gold and gorgeous! Just in time for Valentine’s Day, we have a dessert table to make your heart swoon. Today’s elegant feature comes to us from Sweet! 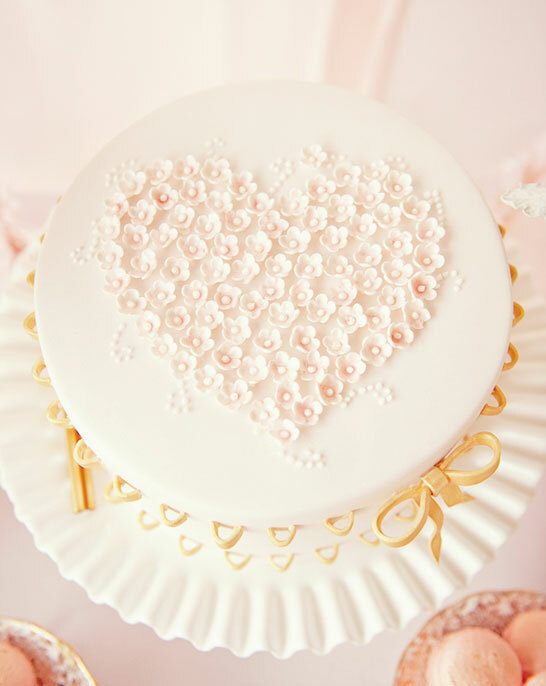 Magazine, a treasure of projects, ideas and inspiration for any baker who wants to create beautiful cakes. 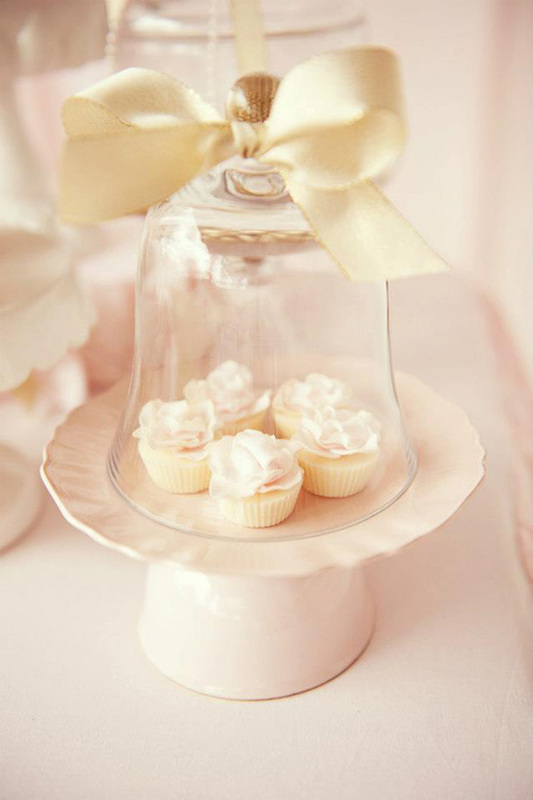 We’re taking a peek inside the cover at one of the charming dessert tables this magazine has to offer. With incredible styling by Avie & Lulu and cakes by Sweet Tiers, this display is oh-so-feminine with just the right amount of frill. 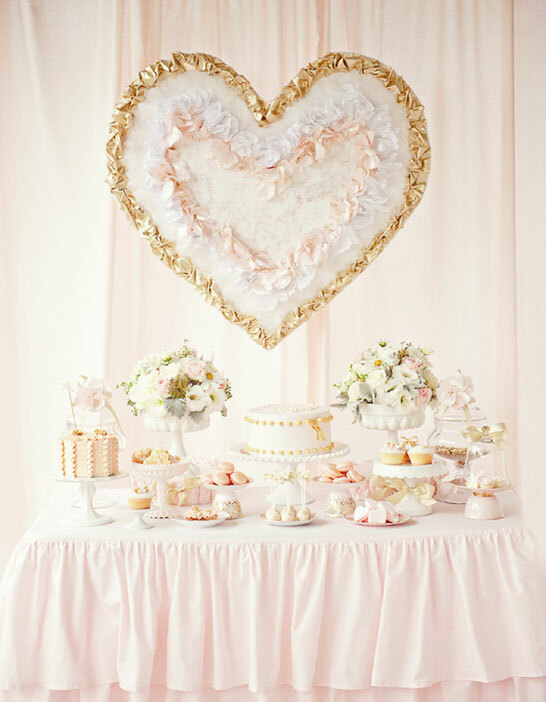 Ruffles, glitter, gold and a spectacular heart backdrop… it’s enough to make a girl giddy! There is so much to love about this display. 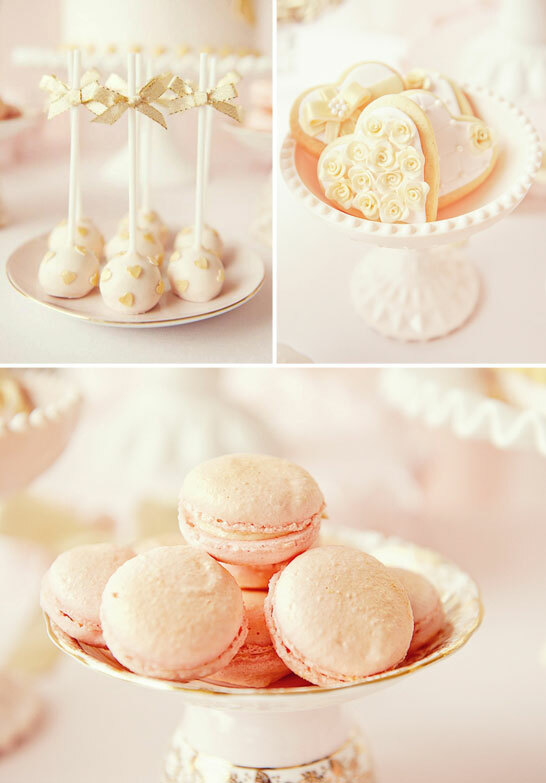 Pink macarons dusted in gold. 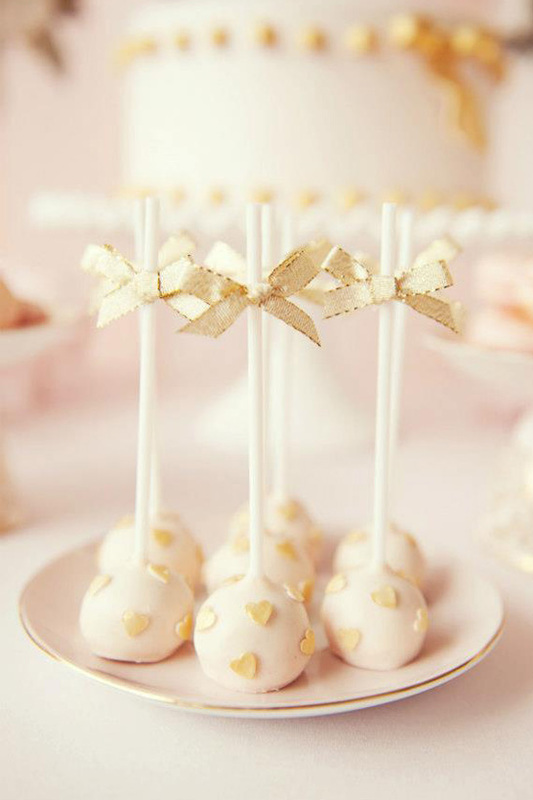 Cake pops adorned with tiny golden hearts and cupcakes topped with golden bows. 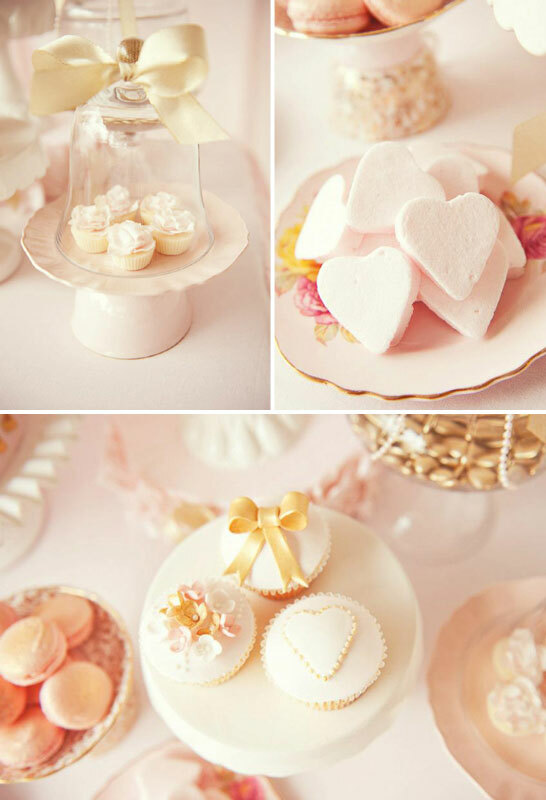 Dainty heart cookies and fluffy heart marshmallows. And of course, the cakes! I cannot get over all the delicate little blooms clustered into a perfect heart shape. Talk about LOVE! This setup would be incredible for any day celebrating love… from Valentine’s Day to a bridal shower! What a wonderful way to head into the weekend. Now that your heart is happy, go and enjoy your Friday! We’ll be back on Monday with a brand new recipe tutorial for your Valentine’s baking. Wow…awesome. Too much for the two of us though! Love the cup cakes, very inspiring display.